Michael has over 25 years of experience in business Leadership Development and Executive Coaching. After completing his military duty, he worked in the corporate world for 10 years before entering the management consulting area with a firm based in San Jose, California. As a member of the Advisory Committee he serves as a key managerial advisor to both the Board of Directors and the Executive Director. He is also involved in recruiting volunteers to work on key projects sponsored by Warrior2Citizen. 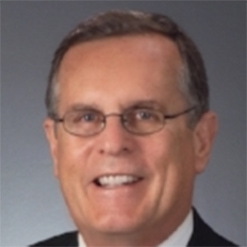 He is currently an Executive Coach with the Rupert Group based in the Research Triangle. Michael holds a Bachelor of Science Degree in Business Administration & Economics from The University of Indianapolis. He has an Executive MBA from Rollins College Crummer Graduate School of Business. Michael is a Certified Executive Coach in Leadership Development & Emotional Intelligence. He is a veteran of the United States Army, served honorably for six years as a Senior NCO in both Airborne and Combat Engineering Brigades and later worked as a Civilian Contractor in Military Intelligence. Michael lives in Atlanta with his wife Soncha. They have three children and four grandchildren.